Hello fans of ESTOccasions I'm your guest blogger today! 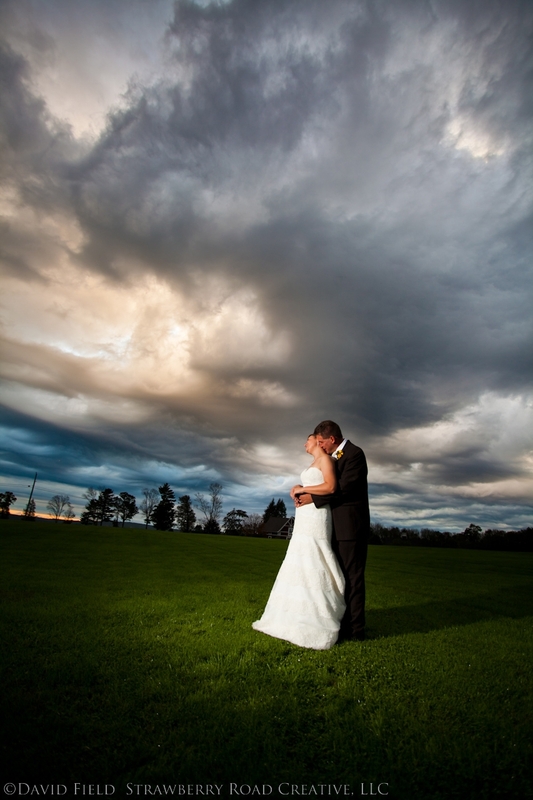 My name is Dave Field and I am Strawberry Road Creative, LLC, wedding photographer. Kia has offered this space for me to talk about anything wedding that I want to! So when I was offered the chance to post, I was mulling over topics and I came up with one that follows on the heels of her post yesterday. There is a trend that I've noticed happening more and more. This trend used to be exclusive to weddings without planners, but it's been creeping into weddings with planners. I don't think it's the planner's fault either. What I'm talking about is the "getting ready" monster. Even the most well thought out "plan" can be destroyed by this insidious beast. The life cycle of the monster is generally a few hours, but the damage it leaves behind is a schedule that has to be thrown out the window and sacrificing key elements you had your heart set on. The place that the time that was lost getting ready generally comes from is pictures. Let me explain how the monster is born. It starts simple enough: maybe it's a late bridesmaid, or your "something blue" was left at your mom's house so you're 10 minutes late getting to hair and makeup and you're rushed. It could also be the worst culprit of all, nobody is paying close attention to the clock, milling about between hotel rooms, texting, talking, you name it. That last one is the one that leaves photographers and planners pulling their hair out and re-planning the day moment by moment. Often times people end up blaming hair and makeup. I can tell you honestly, I don't think it's ever been the fault of the people doing the hair and makeup, it's been the fault of the people getting their hair and makeup done. The reason I think this is a terribly important thing to be aware of is that I have seen brides have to throw out an hour of post nuptials photography because they took too long getting ready or they had to throw out their "first look." The monster stole the chance for me to make the images I wanted to give them. Those images that are just a bit more than a snapshot. Each of the pictures I've provided for this post were only possible because we had time. Not a lot of time, but not rushed. I understand that "things happen." But please, don't feed the monster! Now of course as a planner, I have to respond to this. I know the monster and I've seen the monster and as a planner I do my best to avoid it. I am always double checking and confirming details with our clients. It is important that ALL of your vendors are on the same page when it comes to the plan of the day. I don't like to use the word TIMELINE like other do, I tend to say GUIDELINE. There are certain things that have to happen at a certain time and we make that happen. We also make sure that when we have a little "free" time, we make up time where we lost it. Having your vendors all on the same guideline is something that we thrive to do. Your photographer, caterer, DJ, and videographer all need to work together and be working on YOUR schedule. There are times that I can say I have redone a timeline 12 times to make sure everyone could do their job and everyone agreed for a prior wedding. The nice thing is that we, remind you about your something borrowed, something blue and on the off chance that you forgot it, we could go get it. All of our planners come with assistants and this is one reason WHY. You need to have people who are there working JUST for you. We also carry along the emerency something somethings!!!! Thank you Mr. DAVID FIELD for stepping up and being our first guest. As I end this post, I did ask Mr. Field what was his favorite time to shoot and he answered so perfectly, " Best time for photo is impossible to answer! Moments happen. Moments are better than staged for the most part."